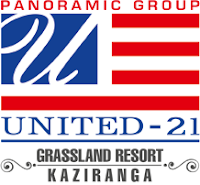 United-21 Grassland Resort at Kaziranga is best option for a comfortable stay near Kaziranga National Park, which stands high on the list of best hotels and resorts surrounding the Park. It is mostly preferred for its easily accessible location near the highway, fascinating interiors of the cottages and perfect travel desk service. The elegance of the resort lies in its ethnic eco friendly cottages, spacious tastefully decorated rooms, well maintained swimming pool and the explicit dining facilities. Presidential and Grassland suites are the best for families trying to stay together. After spending a day full of activities in and around the park you can rely on the resorts lounge and bar for a few sips of invigorating drinks. Most of the visitors to the resort including foreign visitors are impressed by variety of the Menu and unique dining facilities of the resort. The various options are dining under palm trees, grabbing pool-side barbeque or dining in a relaxed mood while sitting in the garden. Taking’ bites at a candle light dinner in the backdrop of events and ethnic music is the enticing experience at this resort. Cozy rooms, well equipped gym and the spacious lawn surrounding the cottages is the place where you can communicate with your soul in the surrounding calm. 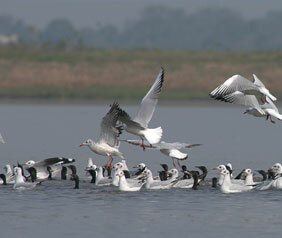 Winter season in the months from November to April is the right time to enjoy the thrill at the jungles of Kaziranga. After visiting the prime destination Kaziranga National Park, the other nearby attractions are tea estates of Methoni, Difalu, Borchapori and Behora, Kakochang waterfalls and Panbari reserve forest. Panbari can be reached from Kohara base. Plan your daytime for exploring the wonders of this wildlife destination and enjoy your evening at the resort with amazing options like fishing in the pond of the resort or boating in the lake. Spend a few minutes at the well equipped fitness center of the resort or get rejuvenated by a light massage at the spa center of the resort. United-21 resort in Kaziranga is comparatively the best means of accommodation which can be booked online. Otherwise visit their website and after talking to the customer care service of the resort get the rooms of your choice booked in advance. Assam located in the northeast of India is a diverse but beautiful Indian state with incredible cultures and landscapes mixed to form a unique blend of cultural panorama. Its borders with Bhutan and Arunachal Pradesh show a traceable impact on its routine life. 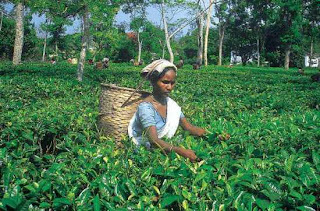 The state earlier known to the world for its quality Assam tea is now becoming more popular as the best Indian wildlife destination. Wildlife of Assam is nature’s gift to the state and the government authorities in the state are making the best of it by developing wild life tourism in the state. The precious forests of the state are developed into more descent National Parks, where worldwide tourists pay a visit to view the treasures of wildlife and the bounty of Nature. Kaziranga National Park a world heritage site is one such park located in Golaghat and Nagaon districts of Assam. This park is divided into four ranges Kohora, Bagori, Agoratoli and Buraphar for smooth administration of the park. Kohora is also popular as central range, Bagori as western range and Agoratoli is the eastern range. Kaziranga is accessible by air, rail and road. It is just two hundred twenty five km from Guwahati the capital of Assam. This park located on the banks of river Brahmaputra which is supposed to be the lifeline of the state is a splendid birding ground. The Burma monsoon forests spread in the plains of river Brahmaputra consists of grasslands, open woodlands, numerous lakes and cane forests. The type of vegetation in the park area supports the incredible wildlife, large varieties of birds and fast diminishing rare species of reptiles. Interesting above all is the list of around thirty nine reptiles making their home in Kaziranga National Park. The list includes some rare endangered species like Gharial and unique Assam Turtle found only in Assam and Bangladesh. Ghariyal normally is found in the wetlands, with long elevated jaws lined with sharp teeth which make it easy while engulfing fish and other water bound prey. The list is long enough including around sixteen varieties of turtles, ten varieties of lizards and fifteen types of poisonous and non poisonous snakes. With many things to explore your trip to Kaziranga will not be complete, if you are not gauging the pride of the Park one horned rhino grazing happily in the grasslands. These grasslands are mostly comprised of tall elephant grass. Best way to explore Kaziranga is to ride an elephant safari which takes you in the interior of the jungles where you might encounter a family of the tiger and many other rare types of animals which have become distinct and are diminishing fast. While visiting this park you have plenty of accommodation options to spend a fascinating time in the calm and serenity of the region. The resorts, hotels and jungle camps near the park provide a nice stay and convenient access to the interiors of the Park. It is advisable to select one of the Kaziranga resorts, keeping in mind their nearness to the Park and the picturesque surroundings in which they are located. Assam the north eastern Indian state is the gateway to the other seven states in its vicinity. Assam Tourism is blessed with bewildering landscapes, lush green mountains and grasslands spread on huge patches of land with variety of wildlife stuffed in it which attracts hoards of tourists every year. Assam which is a bowl of mixed cultures and traditions shows cultural richness giving rise to number of colorful fairs and festivals. The folk dances of this destination are really invigorating. The tourist potential of this place is also stored in its incredible wildlife which can be explored in its distinguished National Parks. 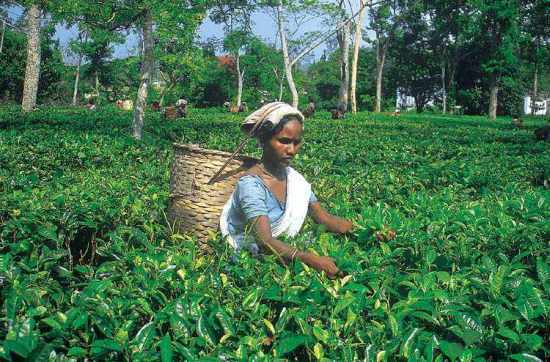 It is well known for its incomparable tea, silk, and above all its rich biodiversity. Assam is one of the richest biodiversity zones in the world and consists of riverside grasslands, bamboo orchards, tropical rainforests, deciduous forests and numerous wetland ecosystems. The credit of stopping the deteriorating number of one-horned rhinoceros and conserving them goes to Kaziranga National Park a UNESCO World Heritage Site. Other endangered species taking refuge in the jungles of Assam are Deohanh, Bengal Florican, Pygmy Hog, Black-breasted Parrotbill and the Golden Langur. Endangered species with sizable population in Assam are the tiger, elephant, Hoolock gibbon, Jerdon's Babbler and so on to name a few. For the state Bird White-winged Wood Duck, Assam is a globally important area. The state has the largest population of Wild Water Buffalo in the world. It is also known for orchids. 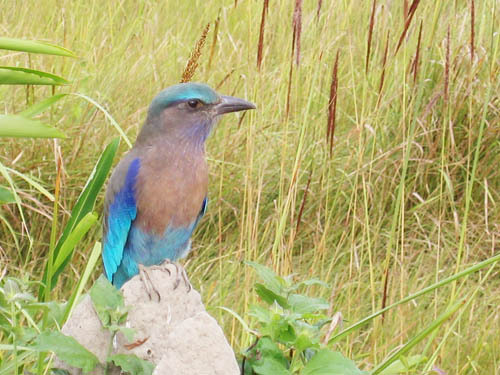 The grasslands and wetlands of Kaziranga conserve a large number of birds making it popular as the largest birding ground. 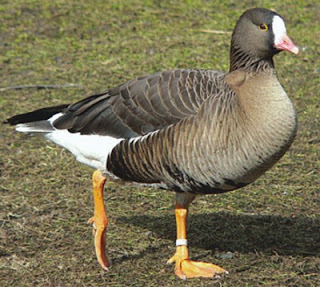 It has large number of water birds, migratory birds, scavengers, game birds and predators which prefer to stay in this region. An estimated four ninety five exclusive vanities of birds are said to exist in this park. Since monsoons are heavy in this region the park is kept open from November to April. As per the opinion of the locals February and March are the best months to visit the park even though the temperatures are on the higher side, chances of viewing central attraction the one horned Rhinoceros is more during this time. Another attraction during this period is the week long Kaziranga Elephant festival organized in the Park in February. The best way to explore the park and reach the interiors is by riding an elephant safari. The Park is divided into number of ranges, prefer central range for your elephant safari as it is operated by government staff. Early morning safaris may not be more enjoyable as the visibility is less due to fog in the morning. With increasing tourist traffic to the Park many hotels and resorts have mushroomed in the region, you are at liberty to select your type of accommodation from the wide range available like Kaziranga National Park hotels, resorts, jungle camps and river lodges. 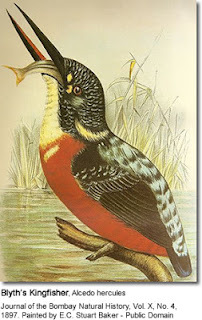 The fun of enjoying wildlife tour involves the type of accommodation you select. The resorts of Kaziranga located on huge plots of lands surrounded by natural beauty and wilderness of the woods are more preferred type of accommodations. These resorts are well supported by modern facilities and mostly they are located near the park. Experience the thrill of Elephant safari in Kaziranga and the gamut of exploring the wildlife of the region by visiting Kaziranga in Assam.